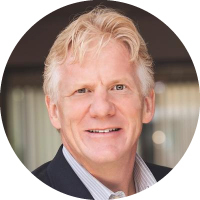 Dr. Nick is a leader in Digital Healthcare and Innovation and former Chief Medical Officer for Dell. He provides strategic insights and guidance to support healthcare organisations, medical professionals and patients through information-enabled healthcare. He brings an incremental approach to developing successful strategies and applies his expertise to achieve a technology environment that is interconnected, efficient and patient-focused. He is a highly sought out speaker on the practical and futuristic use of healthcare technology and how it can improve patient engagement and wellness. I trained as a physician but in fact my passion around technology and its integration into our world and healthcare started when I was a child. It predated any of my involvement with healthcare. I was renowned in my father’s office as the’ fixer’ of things. He used to bring back technology that had broken. In those days, it was calculators. Anything from mechanical items to some of the new and programmable devices. I would essentially take them apart and try to fix them. As they were broken there was no risk. My success rate was not fantastic. I didn’t have any access to manuals and I wasn’t trained but I learnt as I went along through trial and error. I had a constant fascination with technology and that has been present in my world ever since. Throughout school I was programming with the teletype terminals and the computer punch cards that we had access to. I was lucky as the school bought one of the original Tandy TRS80’s that I programmed for our physics experiments. I actually taught computing throughout that period of time to other students and even some of the teachers. That has always been my interest and followed me when I went to medical school. There we were only given a minor course on technology, and that was a real frustration to me because it was less than anything that I had studied previously. When I became a physician, all I could see was the potential for technology to be an amplifier to our capabilities. What I envisaged 30 plus years ago when I graduated, is really some of the things that we are starting to see now. To me it was absolutely crystal clear that technology was always going to be an enabler for the human potential in the medical profession. Putting it simply, I feel that technology is an enabler to revolutionize Healthcare. I would say that this has definitely changed over time. I am constantly modifying my view of where I see the opportunities of technology going. In the past, it was more of a challenge as we just did not have the technology to support some of the ideals or capabilities. I think I have been fairly consistent in focusing on the value of Data. I am very science driven and believe strongly in the value of data, analysis and proof of any of the treatments or technology we deliver. I think that’s a consistent thread today. What’s more interesting is our capabilities in both the amount of data and the processing power available to help us capture data at the individual patient level and our capacity to use it for individual benefit. What I am most passionate about is data analytics, analysis and the opportunities to apply AI, which I think of as really being more ‘augmented’ than ‘artificial’ intelligence. Our progress in understanding of genomics; proteomics and epigenetics are all themes that are central to the future innovations in healthcare. When I went to medical school, the human genome was being sequenced. Shortly after my graduation, I remember being told that we believed that 95% of the human genome was junk. In hindsight that seems short sighted as we were just starting to really scratch the potential of our understanding of the human genome. I am excited by the potential of better understanding of our DNA and how we can influence and treat conditions based on this understanding. The combination of the different omics and genetics, together with the data analysis really excite me. I think we are going to look back in 10 years at the way medicine was practiced and think wow is that really how we treated diseases? Technology and HealthTech is moving an exponential rate. One example of this is around surgical intervention. When you think about what causes a disease and a tumour, it starts with a biological process with genetics and proteins. I am certain at some point in the future we are going to look back on surgical intervention and think there’s a much better solution to reverse the cause without the invasive surgical processes of cutting into the body. Finally, I would add Security – the often-forgotten element in health care technology. It continues to be added as an afterthought and I believe we should be focusing on security at the outset of any innovation and development of solutions. Eric Topol rises to the top of the list. I think he really blazed the trail with both of his books “The Creative Destruction of Medicine” and ‘The Patient Will See You Now’ and his vision of shifting medicine from the traditional paternalistic view to a more team based approach that includes the patient and uses technology as an enabler. Another physician that influences me is Atul Gawande. He is so eloquent and so enjoyable to read producing incredible insights. I enjoy Ahish Jha’s insights with his focus on the importance of data validation and rigorous analysis. Jane Sarasohn-Kahn’s analysis and capacity to explain and provide detailed scrutiny are a tremendous value add to our continued progress in healthcare. Finally I would add Dr Jen Gunter. I love her fresh and honest approach. She has created quite a stir recently as she has taken on some of the pseudoscience being promoted to women. I have lots of different areas I am very passionate about. I have always been truly fascinated by the world of physics and quantum physics. I think we are just starting to scratch the surface. I spend a fair amount of time attempting to wrap my head around quantum mechanics. To be clear, I am just dabbling with these areas rather than fully understanding them. The same can be said for space. I think the unexplored and undiscovered opportunities are very interesting. Carl Sagan had a big impact on me when he was alive and today I aspire to be the Neil deGrasse Tyson of healthcare. There are other influencers outside of healthcare that include Aaron Carroll, an economist who has some great insights into a wide range of areas focusing on data. Malcolm Gladwell and Dan Ariely are two other influencers, both authors who focus on insights from data. Their perspective, understanding and deconstruction of theories are inspiring. Another Influencer who has a keen interest and passion for health care is Michael Dell. He is the CEO at Dell Technologies and was a delight to work for. He inspires me with his passion and focus on technology and the incredible brand he has built yet when you meet him he is such a humble person. I am also a Whisky Librarian. I collect and sample all sorts of Whisky. I enjoy the variation and the shared interest with many people I meet online. I would not consider myself an expert but I am always learning and it is certainly an area of passion! I think the big non healthcare brands that are all focusing on healthcare including Apple, Google, Microsoft and Amazon. These companies I think have potential capacity to really impact this space. I think Amazon is really interesting and we have been hearing a lot about their new focus on healthcare recently. For me they are the ones to watch. Next, I would call out the NHS. I have a personal interest in the NHS, having had the privilege of training and working there. They get a lot of bad press but I think they are doing well both on national and individual’s level. I think they have some fantastic stretch goals and they have the potential given the way the NHS is structured in the United Kingdom, to deliver against these goals and really impact this digital space. There some amazing folks that are doing some really great work. I feel really privileged to have had the connection and to be involved. Phillips is another company that I should mention. I used to work for them and I have seen them really pivot as an organisation from the traditional manufacturing of MRI machines and hardware for hospitals to a digital health company. They still do all that but that is not what I see their market presence as any more. Jeroen Tas has done a phenomenal job of re-orientating this organisation to a completely new direction. They have built an infrastructure that I think is going to be really well set up to deliver in this new digital age. In the Pharma space I think Bayer stands out as working at moving the industry and their organization into the new digital age. My passion is turning complex issues into understandable ideas that individuals and companies can consume and use. I am always looking for speaking opportunities as an inspirational and visionary keynote speaker. I offer strategic guidance, consultancy and unbiased evaluation of solutions. Helping companies understand where their health care technology fits within the current market place and in the regulatory environment. I am visionary thinker and a pioneer in the use and application of technology in the healthcare industry with a track record of successfully implementing new and innovative technologies ahead of broad adoption. I have a keen sense of where the future is headed and what is necessary to prepare and capitalize on the rapidly changing world we live in. I help brands, companies and individuals understand where the world and healthcare is headed, helping them tease out their strategic path and direction to be successful. I seek out a board positions on a public or private company focused on improving the health of the general population to leverage my extensive expertise and experience at the intersection of healthcare and technology and exponential changes taking place in the industry. I am a champion of cross functional learning looking for innovation and insights from other industries to short cut innovation and implementation cycles. I challenge existing methods and processes to disrupt the status quo and speed the path to success in the marketplace.